Width (side to side) 77"
Height (bottom to top) 79"
Bring a fresh look to your home with this cottage style entertainment center. This painted TV cabinet is slightly distressed and has tapered legs and paneled doors for a unique, casual style design. The focal point of the entertainment cabinet is the mountable TV area that can accommodate up to a 50 inch flat screen TV. Shelves, complete with lighting, surround the TV area and are perfect for displaying your family photos, books or other home accessories. The base of the cabinet has an open component area and a glass storage area for housing your DVD player, cable box and other electronic components. The two other storage areas are perfect for stowing away your DVDs, CDs and other electronic accessories. 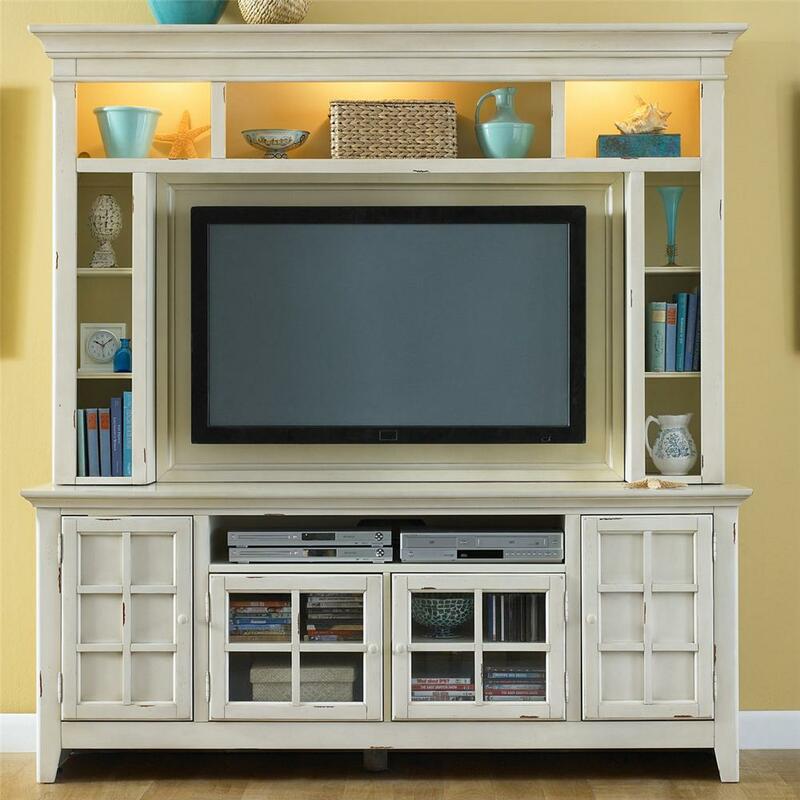 Create an elegant, relaxed design in your home with this entertainment center.